As we age, our faces naturally lose subcutaneous fat. The skin also stretches, adding to this loss of facial volume. Other factors that affect the facial skin include sun exposure, heredity, and lifestyle. Dermal fillers, such as Restylane, Juvederm and Voluma help to diminish facial lines and restore volume and fullness in the face. Fillers can be used to enhance the cheeks and shallow contours, soften facial creases and wrinkles and improve the appearance of recessed scars. At Glow Medispa, we use a wide range of dermal fillers as part of our overall set of tools to address these issues. Allergan makes the Juvederm family of fillers including Juvederm Ultra and Ultra Plus, Voluma, Vollure and Volbella. Galderma make the Restylane family of fillers including Restylane L, Restylane Lyft, Silk, Refyne and Defyne. The newer Refyne and Defyne are designed to be flexible, allowing normal facial expression. We also carry the newest filler, Revanesse Versa. This is made by a Canadian company called Prollennium. We are always evaluating and comparing fillers, and can make recommendations about which ones have worked best for which areas. At Glow, we use only Hyaluronic Acid (HA) fillers. Why? HA is a naturally occurring substance that is found throughout your body, and is a natural choice for adding volume. HA can be broken down with an enzyme called hyaluronidase. This is rarely needed, but it is critical to know HA fillers are reversible if a problem arises. With artificial fillers, there is no option to reverse it. Your body does process the HA over time, so results are not permanent. However, we feel strongly that the risk of more permanent fillers is not worth taking. 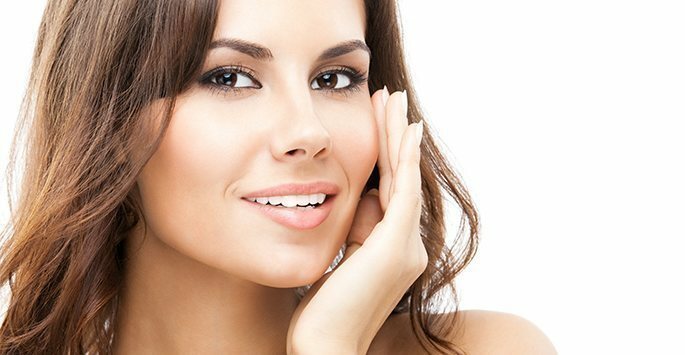 Dermal fillers are just some of many tools we use to address the signs of aging. If you are interested in learning more, please schedule a consultation to find out whether you might be a good candidate. JUVÉDERM® is one of many dermal fillers used to provide a smooth, long-lasting correction of moderate to severe facial wrinkles and folds. Juvederm contains hyaluronic acid, a substance that naturally occurs throughout the body and skin. Voluma® is a volumizing hyaluronic acid filler FDA-approved for adding fullness to the cheeks. This not only fills areas of volume loss in the cheeks, but acts to raise the features of the lower face, reducing wrinkles and folds caused by gravity. This also reduces the need for additional fillers in the lower face. The effects of voluma can last as long as 2 years.